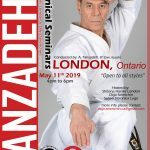 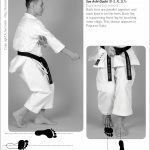 Shitoryu Karate London & Dojo Seienchin presents; Technical Seminars conducted by Kyoshi TanzadehHosted by Sensei Veronica LugoLondon Ontario, May 11th, 2019. 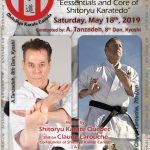 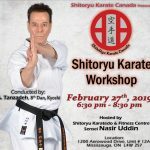 Shitoryu Karate Canada Presents: Shitoryu Karatedo Shinzui “Essentials and Core of Shitoryu Karatedo“Saturday, May 18th, 2019Conducted by Sensei Tanzadeh, 8th Dan, KyoshiHosted by Shihan Claude Larouche, Technical Director of Shitoryu Karate Quebec and Co-Founder of Shitoryu Karate Canada. 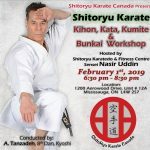 Shitoryu Karate Seminars in Dominican Republic. 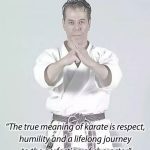 April 6th, 2019 in Santa Domingo. 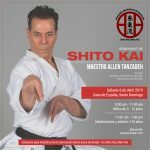 Conducted by: Master Allen Tanzadeh, 8th Dan, KyoshiHosted by Asociacion Dominicana de Karatedo, Shitokai. 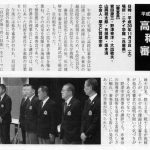 The 30th All Japan Karatedo Fedration, Shitokai high ranking (6th Dan, 7th Dan and 8th Dan and Shogo) examinations results. 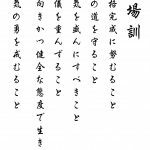 November 3rd, 2018, Kobe, Japan.